VR’s growth in popularity and extraordinary ability to reach consumers has not gone unnoticed. Since the sudden uptick of interest in VR, marketers and agencies are poised to take advantage of the many different possibilities offered by this exciting media. But how exactly does VR fit into the world of advertising? 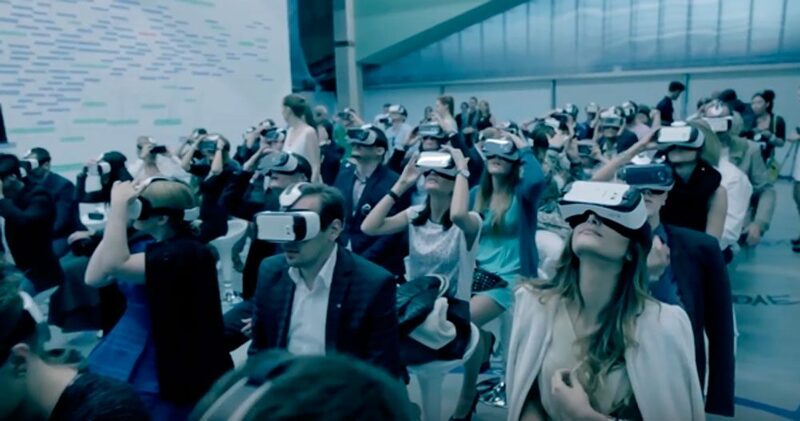 VR is providing huge opportunities for consumers to interact with branded content. Many companies haven’t been afraid to get in on the action: brands using VR can target their audience as never before, using their own tailored messages. For example, Nike lets you have a kickabout with football star Neymar to promote its HyperVenom Phantom II Soccer Cleats, while HBO allows viewers with an Oculus Rift to “Ascend The Wall” in the Game of Thrones universe. It’s a really rich time to be a connected consumer. Even Häagen-Dazs have got in on the action with their campaign to save the humble bee. 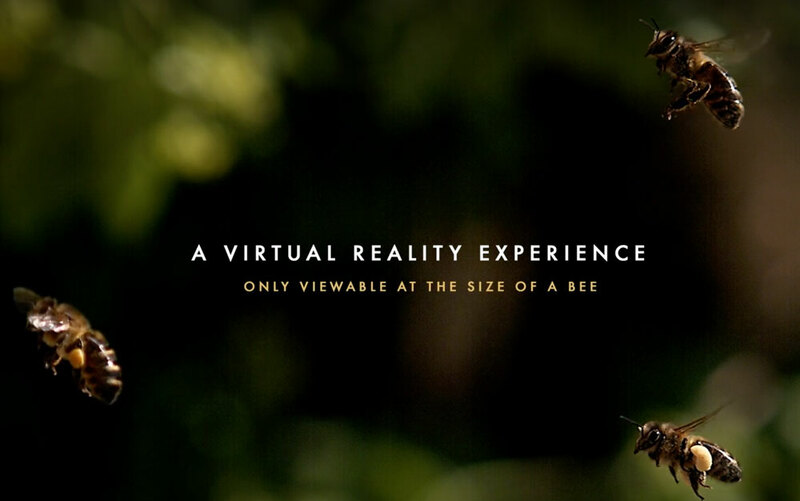 Part of a campaign that’s been active since 2008, the ‘Häagen-Dazs loves honeybees’ VR launch is helping people understand and empathise with the bees’ plight, by using the power of VR to shrink viewers down to the size of a busy worker bee and allowing them to explore the world through insectoid eyes. 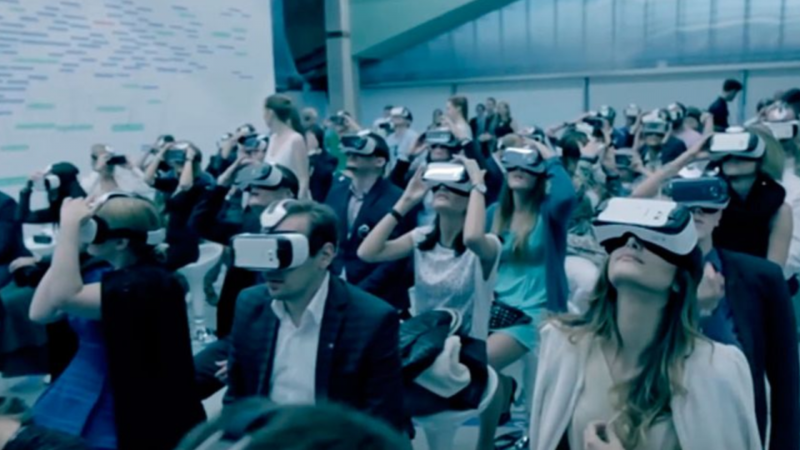 If marketers were magpies, then Virtual Reality would count as one of the shiniest baubles. VR is a highly engaging and impactful channel for brands. As well being a platform that directly connects with consumers, it also allows them to feel as if they are in control. The days where you can rely on a passive viewer are gone. The audience can actually pick and choose the advertising they want to see – a contrast to traditional television and print mediums – and as our world becomes more digital, the opportunities only get bigger and better. One area where VR shows particular promise is in-app advertising. Already breaking new ground, VR’s in-app success is represented by its huge 30% click-through rate (CTR). This figure becomes even more impressive when you consider that marketers have grappled to improve average engagement rates for years. CTR for mobile ads is only 1% and it’s even lower for desktop ads at 0.4%. If your marketing department doesn’t have the resources to implement in-app advertisements, you can look to external sources. Omnivirt is an example of a company that provides marketers with the tech they need to create effective campaigns. They help brands to drive VR and 360 across all mobile devices, making it even easier for them to launch campaigns. However, marketers need to be careful. As we know, successful VR content is about storytelling and some forms of in-app advertising could dilute this. One sure-fire way to ruin the immersive experience is through a barrage of pop-up banners. But rejoice! VR advertising is unlikely to cause those kinds of headaches. 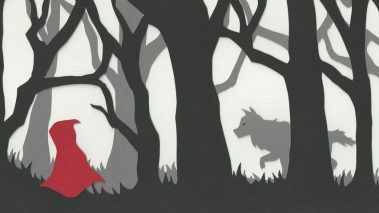 Instead uses tags, that if the viewer chooses, will take them to the brand’s website. Alternatively, it may be that sticking to a curated (yet branded) experience works better as both are effective techniques. What’s important to remember is that successful brands are those that have realised VR is an experience first and an advert later. Unless you’ve been living under a rock for the last 5 years, you’re likely to be aware that the way we shop has changed. Online shopping provides huge access and relative ease – but does it lack the charm of a real shopping experience? Virtual reality presents a possible answer to this problem. 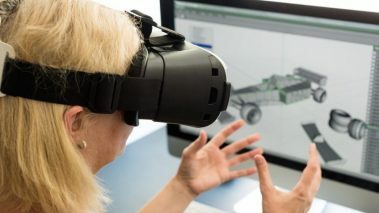 Providing both experience and ease, VR could well be the best of both worlds. We’ve all been in this situation – when you’ve ordered clothes online, only for them to arrive and you discover the material is horrible and you just don’t look like the model in the picture. But this terrible experience can be avoided – a VR shopping experience lets you try before you buy. After all, when we hit the high streets it’s this touchy-feely relationship we have with the products that have us reaching for our wallets. In fact, some savvy marketers are already adopting this approach. 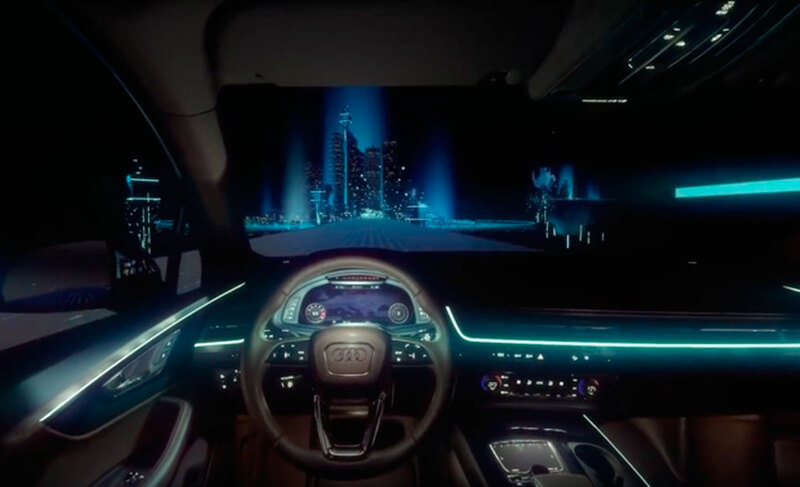 Audi has created virtual showrooms which allow customers to select the car, change its paint job, upholstery and even take it for a test drive, all from the comfort of their headset. VR experiences like this could even one day replace retail websites. Yes, this seems unlikely at the moment, but as the tech develops and more people own headsets, who knows where VR might take us. Even now, luxury brands like Swarovski are paving the way with their Atelier Swarovski mobile app which presents a VR showroom experience that lets you wander the halls of an absurdly decadent house, checking out all the crystal-based furniture in situ. Magpies of all types will be very pleased. The immersive nature of VR has the ability to turn online shopping into an experience, not just a convenience. 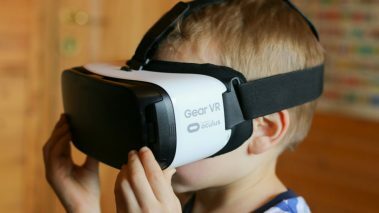 All technologies have to be new at some point and virtual reality has passed its probation period. It’s neither a passing fad nor a medium just for enthusiasts. VR developers are still learning what works best but the progression of VR in the world of advertising will ultimately depend on the consumer. As the lumps and bumps are smoothed out, it will become cheaper and more accessible to all, increasing headset ownership. The crucial role the virtual world will have in advertising is only just beginning. It will take some perfecting but as more and more companies use it, the greater and more innovative the content will become. You can’t run before you can walk, but VR is set to take off at a sprint.